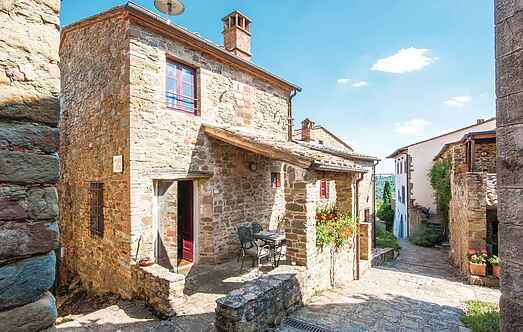 Find a vacation home to rent in Gaiole in Chianti from our list of vacation rental properties. Campaya has over 46 vacation homes available in Gaiole in Chianti, which give you the possibility to locate a unique accommodation in Gaiole in Chianti which completes your check-list in search for the perfect self catering vacation apartments in Gaiole in Chianti or vacation villas in Gaiole in Chianti. Not far from Gaiole (15 km) lies this semi-detached house, set in a small medieval village, surrounded by vast forests. The house, like the whole Borgo, has been lovingly restored. This characteristic holiday apartment is located in a typical village on the hills in the heart of the Chianti Classico.